W hat Can I Save With Solar Energy? 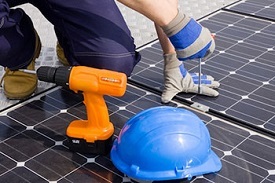 Solar energy incentives can be offered by your utility, county, state and federal agencies. These solar incentives can take various forms including solar tax credits, up front solar rebates, and more. The eligibility and rules for each incentive program can vary greatly. Solar Energy is becoming more mainstream and therefore, the cost per watt of installed solar panels is expected to decrease. It produces no fossil fuels and generates zero carbon emissions. It saves you money on your electric power bill, adds value to your home and provides an excellent marketing tool in the sale of a home. Contact Security Electric Today! Go Solar – Go Green – Save Money! 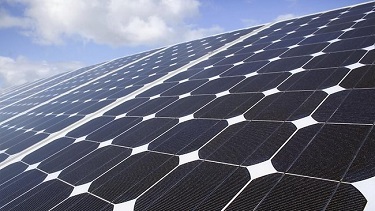 Solar panel energy is a safe and cost-effective way to go green and save on your energy bill. If the time has come to make a change and produce your own electricity while making a positive contribution to our environment give us the opportunity to provide you with our knowledge and expertise to become energy efficient. Serving all of Southwest Florida from Marco Island north to Pt Charlotte, Security Electric is here to help you save energy and go green with cost-effective solar panel systems for your home or business. To receive a comprehensive solar energy estimate complete our online request form. For the fastest response please call our main Ft Myers office at (239) 433-0939.